Official Irish Guinness taste tester. Those words were penned by Irish poet W.B. Yeats in his “Lake Isle of Innisfree,” and I feel them now as I prepare to go back to Ireland for the sixth time, this time to set up small group tours for women. 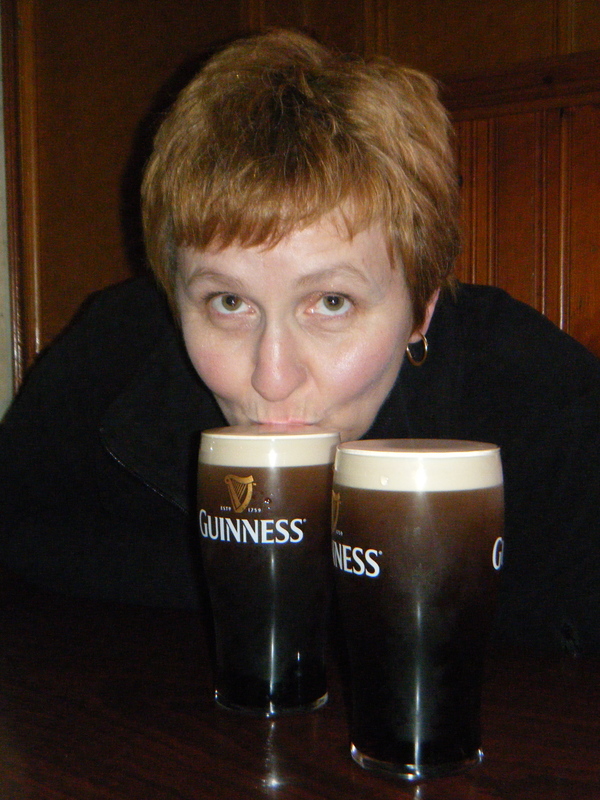 I would not be able to follow my dream of Ireland without the unwavering support of my partner/very significant other, Chris Grant (the “Haggis” of “Guinness and Haggis.”) Thank you, sweetie – I love you! I will be in Ireland from the wee hours of Oct. 11th through Oct. 24th. During that time I’ll be looking for the best places to stay, eat, shop and play. I’ll focus on the counties of Limerick, Cork and Kerry, with emphasis on the remote Beara Peninsula. The theme of the first tour is “The West Less Traveled,” and that is what I will be looking for; the places not trammeled by tourists, still pristine and remarkable. I am excited to be able to share my love of Ireland with other women travelers, and invite everyone to follow along as I chronicle my trip on this blog.